SYNLawn Golf manufactures and installs a full-line of the highest quality artificial putting green surfaces and realistic synthetic grasses simulating every phase of the golf game for residential and commercial golf applications. With thousands of installations throughout North America SYNLawn Golf are the experts at bringing the fun and challenge of real golf to your home, office or business. SYNLawn Golf is the custom putting green, landscape and retail division of SYNLawn artificial grass, the largest manufacturer and installer of professional grade custom golf greens and synthetic landscape grasses throughout North America. 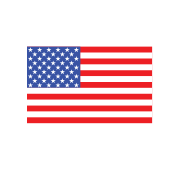 Based in Dalton, Georgia USA all SYNLawn Golf products are held to the highest quality standards each proudly Made in America. With more than 50,000 installations since 2004 our nationwide network of knowledgable, service-oriented distributors, suppliers and installers are here to help answer any questions you might have about our products or how you too can have the backyard golf sanctuary you’ve always dreamed of. SYNLawn Golf are proud partners with short game golf-guru and instructor Dave Pelz, a former NASA scientist, to develop the most realistic, state-of-the-art synthetic golf grasses for true golf game improvement. Through extensive research and testing at the Pelz Golf Institute located in Austin, Texas, we’ve taken the time to examine every detail imaginable to create the most realistic playing experience possible. Renowned for his expert teaching of the short game, Dave Pelz has studied the science of the golf game, written several books, been teacher to some of the biggest names in Golf as well as develop the “Elements of Practice” (EOP’s) which are absolutely FREE to download by visiting the “Drills and Games” section of this website. Manufactured from Nylon fibers our synthetic putting green surfaces are proven to perform as close to natural grass as ever. Through our continual research and development SYNLawn Golf is committed to producing the best, most realistic artificial putting surfaces as well as collar, fringe and fairway golf grass. Ultimately SYNLawn Golf work to ensure that our customers have a fun, beautiful and beneficial golf experience by constructing each green to the needs of the golfers. With the assistance of Dave Pelz, SYNLawn Golf have several design ideas and practice elements that we strive to incorporate into each and every custom putting green. We understand not every golfer has the space or budget to create a full-scale golf complex in their backyard, to which we offer a selection of portable practice greens as well as the easy-to-assemble Dave Pelz Putting Green System for virtually any budget. Our portable practice mats and greens can be setup indoors or out, in your home or office, or just about any flat surface can easily be transformed into the perfect place for a game of golf. Ask your SYNLawn Golf representative about our GreensMaster™ Certified Installation services, a program built to educate and ensure that our installers have the skills to create the most realistic golf experience possible. GreensMasterâ„¢ Certified Installers have advanced training, proprietary base technology and specialized installation techniques to ensure the highest quality golf greens possible. If you’d like to learn more about SYNLawn Golf, we would absolutely love to hear from you. We are deeply passionate about the game of golf and are always happy to meet those who share our enthusiasm. If you have any questions we encourage you to call us toll-free at 866-SYNLawn. Let’s get to golfing!